The Buzzer blog » Compass Arrives at West Coast Express! Compass Arrives at West Coast Express! Here’s what a Compass mobile validator looks like! Staff will hand out Compass Cards to WCE Customers on the concourse at Waterfront Station during June. WCE stations will transition to Compass throughout the month, with two stations switching each weekend. 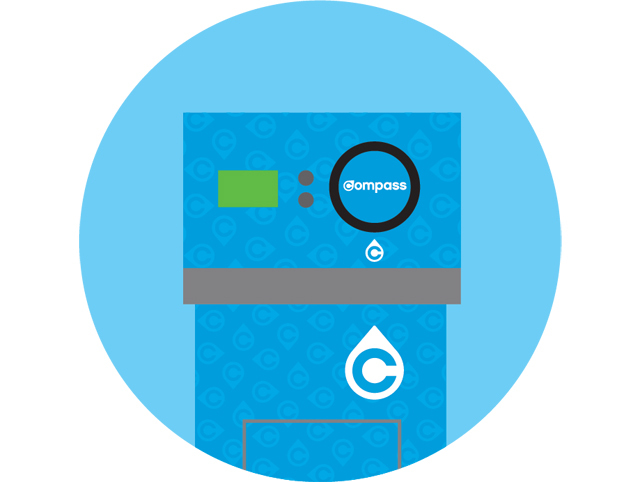 For WCE customers, once you have your card, load it with a Compass product using the Compass website (coming very soon) or at one of the new Compass Vending Machines—and join the 100,000 Compass users already tapping in and out across Metro Vancouver! Not ready to make the switch? You can buy existing WCE products until June 26 at Waterfront Station and other WCE stations that haven’t switched over. The last day to use existing WCE products will be July 24. Ask a Station Attendant for more tips on the best Compass transition for you. For all other customers, it’s business as usual. 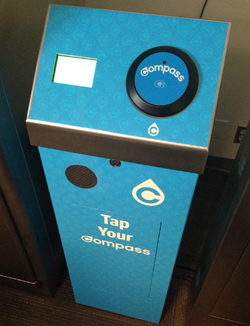 Compass Vending Machines along the WCE system will not sell Compass Cards at this time, and will sell WCE products only. Compass Beta testing starts Monday!